The Whole Foods 365 location in Cedar Park, Texas. After less than two years, Whole Foods Market plans to discontinue the Whole Foods 365 store format. 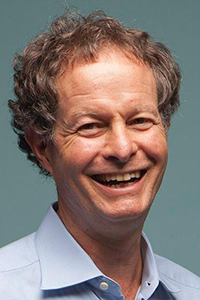 Whole Foods CEO John Mackey (below) informed employees of the move in an internal memo. Plans call for the Austin, Texas-based company to continue operating the current 12 Whole Foods 365 locations but not to build any more of the stores. The first Whole Foods 365 store opened in May 2016 in Silver Lake, Calif. The concept was billed as having lower prices than the typical Whole Foods, as well as a more local flavor. In addition, the 365 stores are smaller (about 25,000 to 30,000 square feet) than conventional Whole Foods supermarkets, which average around 38,000 square feet and can range up to 50,000 square feet. The smaller format also carries about 7,000 SKUs, less than half of the 20,000-plus SKUs at full-size Whole Foods stores, and doesn’t include full-service departments such as deli or bakery. The combination of cheaper prices and smaller footprint was seen as opening up more expansion possibilities for Whole Foods in terms of space and location. But in the employee memo, Mackey said the differentiation between the formats has dissipated as Whole Foods has evolved its brand. “When we launched our Whole Foods Market 365 stores, the intention was to create a more value-focused and streamlined shopping experience that maintained the integrity of Whole Foods’ quality in a convenient format that’s less expensive to build and operate. We have been successful in achieving these goals,” he explained in the memo. “However, as we have been consistently lowering prices in our core Whole Foods Market stores over the past year, the price distinction between the two brands has become less relevant. As the company continues to focus on lowering prices over time, we believe that the price gap will further diminish. “As a result, we have decided that it’s in the best long-term interest of the company to concentrate our efforts on growing the core Whole Foods Market brand moving forward,” Mackey said. Besides the Silver Lake location, the other 365 stores are in Concord, Long Beach, Los Angeles, Santa Monica and Upland, Calif.; Akron, Ohio; Cedar Park and Houston, Texas; Decatur and Atlanta, Ga.; Brooklyn, N.Y.; and Lake Oswego, Ore. The Decatur and Atlanta locations opened last month. Jeff Turnas, president of the Whole Foods 365 unit since June 2015, is slated to shift to another role at Whole Foods, according to Mackey. Whole Foods said the stores will be integrated into the retailer’s current regional structure, and the company is working to place all employees in new roles. “While we won’t be growing the 365 store format, we will continue to innovate and experiment with new store concepts and designs that will allow us to offer customers unique and differentiated experiences that play to the strengths of the company,” Mackey said. Overall, Whole Foods operates 475 stores in the U.S., plus 14 in Canada and seven in the United Kingdom.